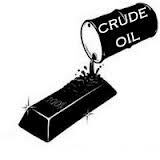 SELL CRUDE RECOMMENDED @ 5410-25 WITH TGT 5333/5222. JOIN HNI PACK AND GET 100% SURESHOT CALLS. STOP LOOSING HARD EARNED CAPITALS.